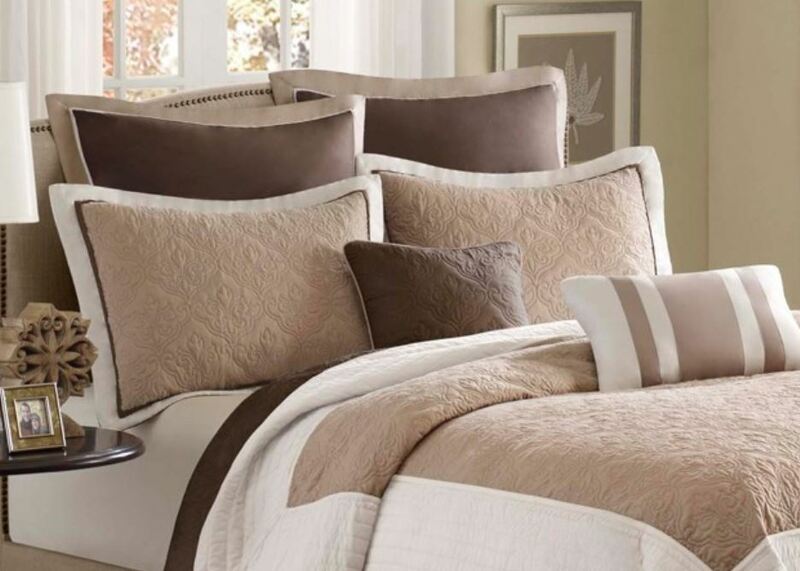 The Attingham coverlet set is a set in a chocolate brown, ivory and taupe, all working together to create this beautiful neutral colorway. 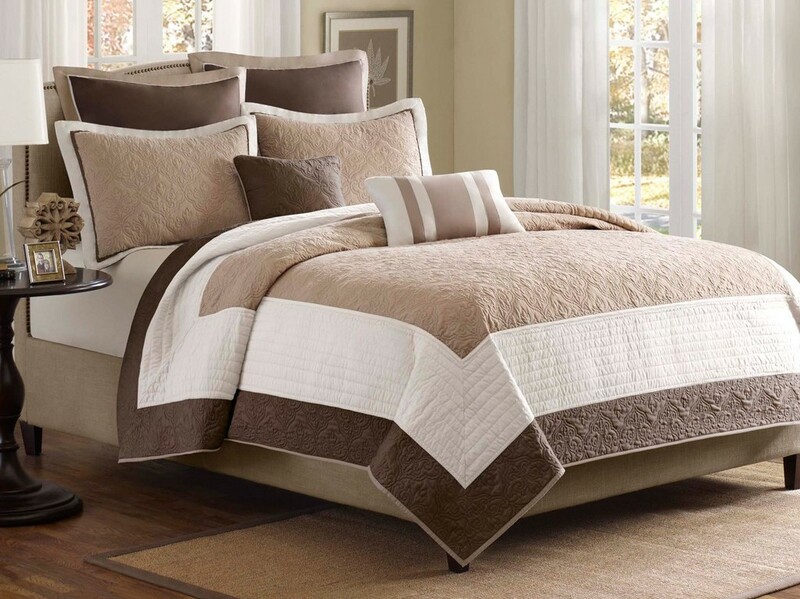 The brown and taupe portions of the coverlet have an intricate woven design that add dimension. 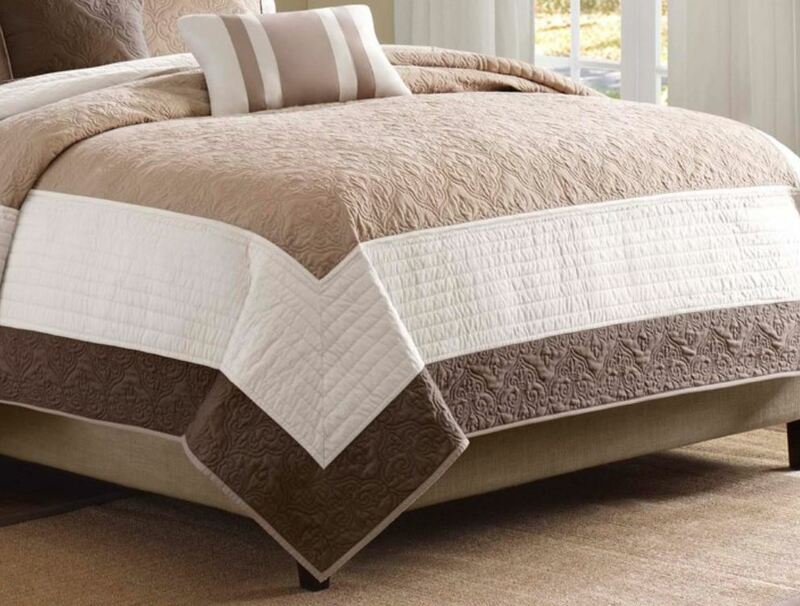 Super-soft brushed poly fabric is so luxuriously comfortable. Easy to care for, and it will keep you cozy all year round.